Dr. Liakos was born in Long Island, NY. He graduated from Cornell University with a Bachelor of Science in Biological Sciences and Neurobiology. He then matriculated to Albany Medical College where he discovered a passion for cardiology. Dr. Liakos pursued his internal medicine training at Albert Einstein College of Medicine in the Bronx, New York a program renowned as one of the most intensive programs in New York. As one of the hardest working and most devoted internal medicine residents in his program, he was awarded the “Outstanding House Staff, an honor given to only two exceptional graduates. 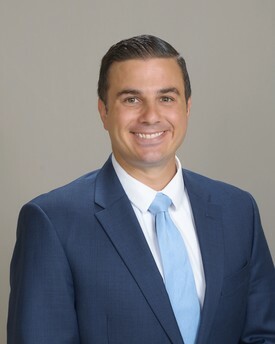 After residency, Dr. Liakos chose to train in cardiology at the extremely busy Stony Brook University Hospital in New York where he excelled and was offered the opportunity to become an interventional cardiologist. Dr. Liakos is board certified in Internal Medicine, Echocardiography, Nuclear Cardiology, Cardiovascular Disease. He will additionally become board certified in Interventional Cardiology after taking his board exam this fall. At Stony Brook University he was exposed to a wide variety of clinical experiences. In addition to building a strong general cardiology base in preventative cardiology, inpatient clinical care, intensive care, heart failure, arrhythmia, echocardiography and stress testing. He decided to subspecialize in interventional cardiology. Stony Brook provided a very high volume of interventional cases to develop his skills. For example, he performed over three times the number of stents in his training than most of the local Southern California trained peers. In addition, he also had outstanding training in peripheral interventions and transcutaneous aortic valve replacement (TAVR). Dr. Liakos has published chapters in academic textbooks on the ultrasound of coronary blood vessels and intracoronary hemodynamics. In addition to extensive training in coronary and peripheral interventions, he is also certified in transcutaneous aortic valve replacement (TAVR). When he is not at work, he enjoys skiing, running, hiking, golfing, cycling and playing the piano.